Alford Silver Band has recognised an incredible fifty years of service that has been given to it by its bandmaster and bass player, Alan Waite. 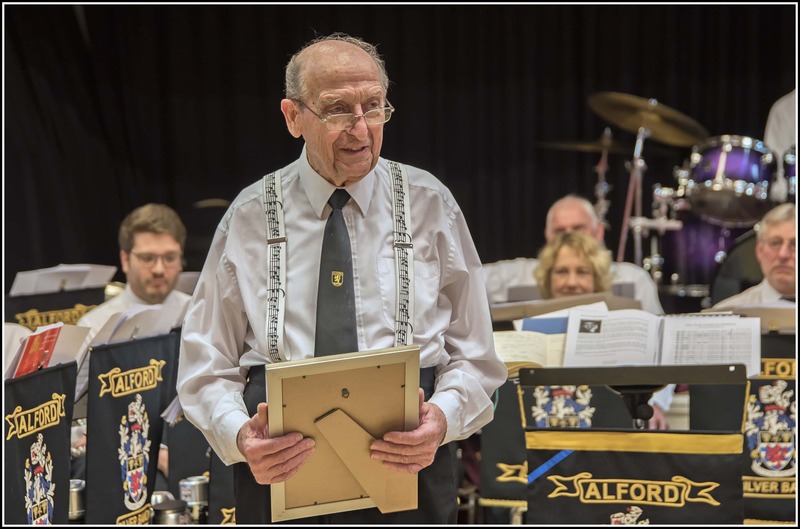 During the band’s concert in Alford on 21st April, the band made a surprise presentation of a Certificate of Appreciation to Alan, and followed this up at its next rehearsal with the presentation of an Alan Waite Rose bush, named in his honour. 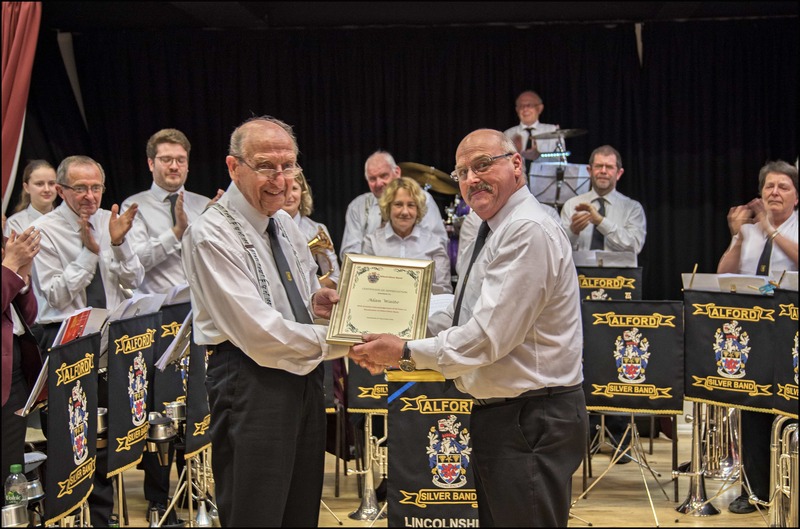 “I was only just out of short trousers when Alan reformed the band in 1968,” band vice chairman Mike Green informed the audience as he presented the certificate. “Although there had been a band in Alford since the 1860s, successive world wars had seen the end of it. “Alan’s vision and energy in the 1960s to reform it has resulted in the magnificent and very popular band we have today. And as well as still playing his tuba, he remains a major driving force within the band. 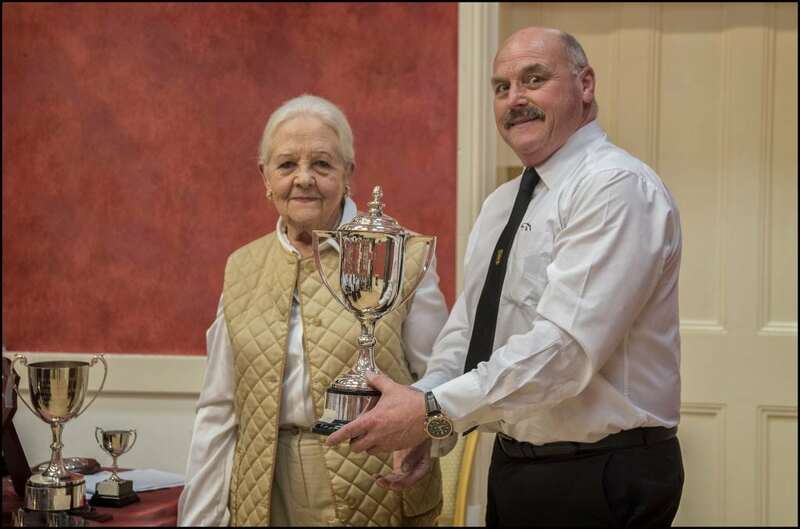 “As bandmaster, Alan is responsible for ensuring that we have the necessary players in place to meet our commitment to entertaining the public, and that everyone is in the right place at the right time. Without his unstinting efforts, that wouldn’t happen. But he also contributes to the day to day running of the band as a member of the management committee. And he still manages to go to work on top of that! With typical shyness, Alan accepted the certificate and acknowledged the applause of both the band and the audience before going back to hide behind his giant bass tuba. Alan has also been the driving force behind the band’s recruitment and training of younger players and over his fifty years, he has brought through a vast number of youngsters, some of whom have gone on to study music at university and become professional musicians. A former personnel manager for an Alford factory, Alan is a well respected member of the local community. Together with his wife, Joyce, he lives in the nearby village of Willoughby. Three other presentations were made during the evening. 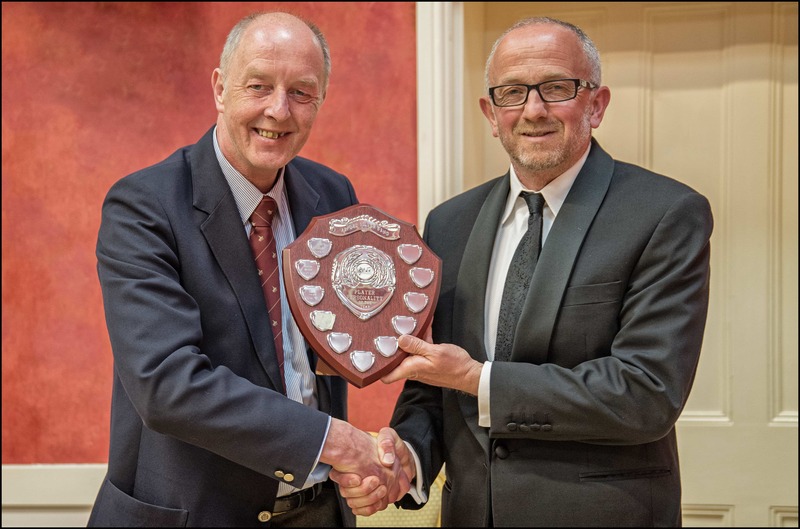 Musical director David Boorer recieved the Sally Walker Memorial Shield having been voted the Player Personality of the Year by the members, and was presented with this by Sally’s son, the previous musical director Richard Walker. 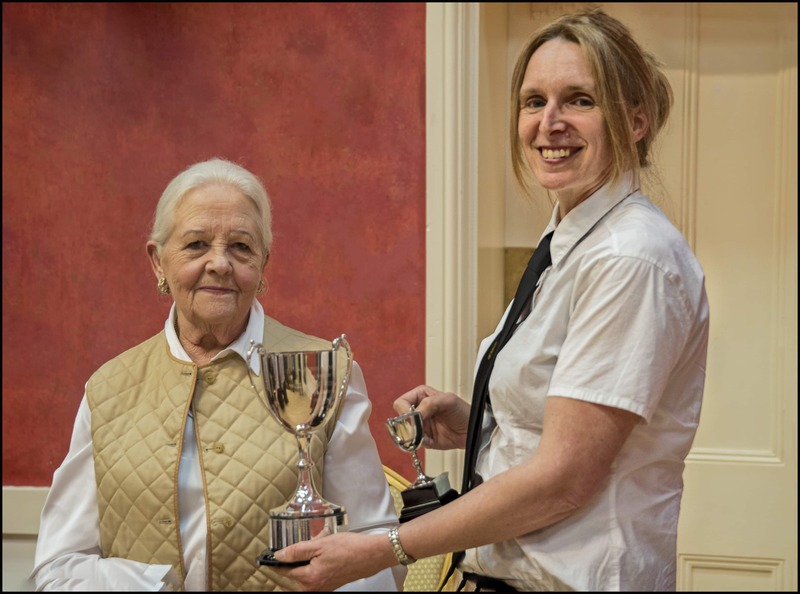 Mike Green received the Harry Farnsworth Memorial Cup for Bandsmanship for his work behind the scenes, and Sarah Vowles received the Edward Robinson Cup for Musical Progress as the most improved player during the year. Both of these awards were presented by Edward Robinson’s daughter, band vice president Cecile Large.